City Ornate Mouldings have been manufacturing, designing and installing plaster mouldings for over 20 years with two workshops dedicated to bespoke crafting, and a team comprising some of the most experienced staff in the industry, it’s no wonder we’re first choice for Plaster Mouldings. Based in Brighton, we have been styling and restoring bespoke plaster work for over 20 years, attracting many repeat customers, including Plasterers and specialist interior designers as well as the general public. Our portfolio spans a variety of diverse and challenging projects including the restoration of a number of Grade 1 and Grade 2 listed Buildings, restaurants, art galleries, museums. Due to our experience with plaster mouldings, we are able to make any mould to match Anaglypta and Lincrusta wall coverings. 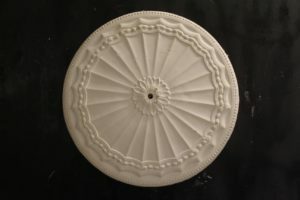 Plaster ornamental centerpieces (ceiling medallions) are one of the simplest ways to enhance the design of a room. Cornices are capable of transforming a once ordinary space into a room of great character and style.